Serene Beauty Therapy is a home-based company located in Wellington New Zeland offering a wide range of beauty therapy services and World organic products. 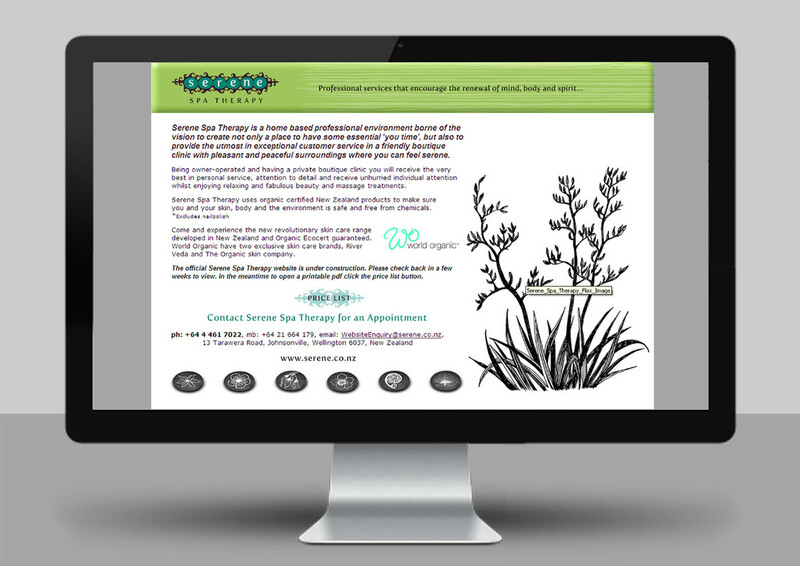 She was asked to design the company brand, business stationery, brochure and website. The Serene website ‘çoming soon page’ was designed with the same consistent colours, fonts and images as the company brand.